COLUMBUS, OH – Is cabin fever beginning to set in? If you’re nodding yes, fish the hard water when many other anglers are sitting inside and simply dreaming of wetting a line! A free ice fishing clinic will be held on Saturday, February 16, from 9 a.m. to 2 p.m. according to the Ohio Department of Natural Resources (ODNR). 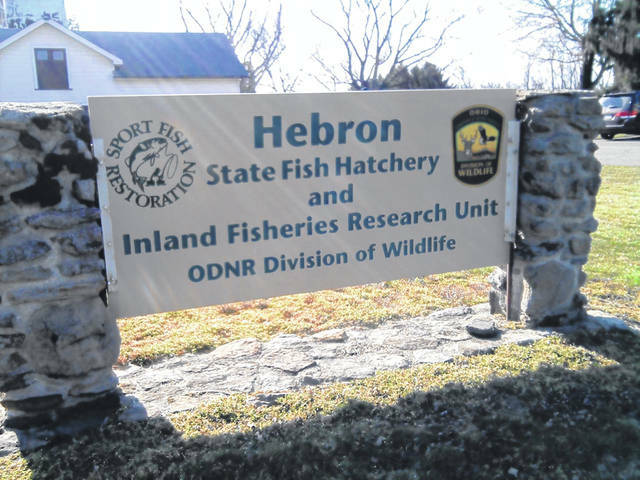 The class will take place at the Hebron State Fish Hatchery, 10517 Canal Rd, Hebron, OH 43025. Join experts from ODNR Division of Wildlife to enjoy such topics as planning and preparation, equipment usage, and safety. Demonstrations and hands-on fishing opportunities in the field are planned, conditions permitting. Some equipment is available for use, but feel free to bring your own ice fishing gear if you have it. A fishing license will be required for participants 16 years of age and older; licenses must be obtained prior to the event. Participants are encouraged to dress appropriately for the weather as portions of this workshop will be held entirely outdoors. The workshop is free but pre-registration is required as space is limited. Call 614-644-3925 or email Derek.klein@dnr.state.oh.us to register. You must provide your customer I.D. number found on your fishing license when registering for this clinic. COLUMBUS, OH – Any adult, group, or conservation club who has a sincere interest in taking kids fishing should consider becoming a certified Passport to Fishing instructor, according to the Ohio Department of Natural Resources (ODNR). A Passport certification course is being offered on Thursday, March 7, at the Wildlife District One office located at 1500 Dublin Road, Columbus, Ohio 43215. Passport to Fishing is a one-day instructor training program that qualifies individuals to become ODNR Division of Wildlife certified fishing instructors, like a hunter education instructor. The workshop will take place from 9 a.m. to 2 p.m. Participants are encouraged to bring a lunch and to dress for the weather, some of the clinic will take place outside. The workshop is a free, but pre- registration is required as seating is limited, and participants will also be required to take part in a background check. To register for the workshop, please e-mail Derek Klein at derek.klein@dnr.state.oh.us or call 614-644-3925. COLUMBUS, OH – To biologists, Canada geese are an outstanding conservation success story. Once extirpated from the state, Ohio now supports a healthy population. However, to a landowner they can be viewed as nuisances that lead to conflicts. Learn more about conflict management with Canada geese during a free public program on Thursday, February 21, according to the Ohio Department of Natural Resources. The program will take place from 6 p.m. to 8 p.m. at the Division of Wildlife District One headquarters located at 1500 Dublin Road, Columbus Ohio 43215. You can learn more about Canada geese in Ohio at wildohio.gov. ODNR ensures a balance between wise use and protection of our natural resources for the benefit of all. Visit the ODNR website at ohiodnr.gov. To read more about ice fishing in Ohio, visit wildohio.gov.